I'm proud to announce Arcade, Office and Robot, three affordable, portable synthesisers that I've developed for Teenage Engineering's Pocket Operator series. 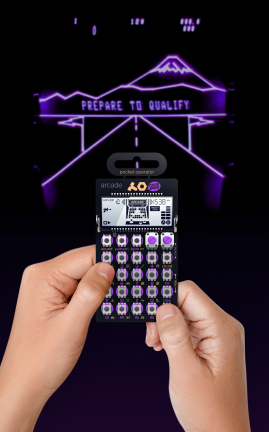 PO-20 Arcade is an 8-bit synthesiser and sequencer for rapid beat making and chiptune improvisation. PO-24 Office lets you create noisy, glitchy beats out of sampled vintage hardware such as floppy drives and a matrix printer. PO-28 Robot lets you play soaring 8-bit melodies live, while also including a sequencer and micro drumkit. 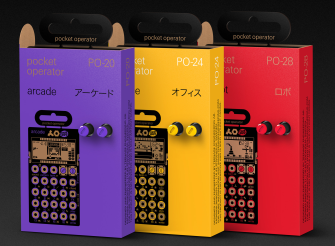 The Pocket Operators are available online, as well as through retailers worldwide. Teenage Engineering is a Stockholm-based electronics company that designs and manufactures synthesisers, among other things. They got in touch with me back in 2012, asking if I'd be interested in some kind of collaboration. So we met up and had some great creative discussions, and then we both kind of lost momentum due to other projects. 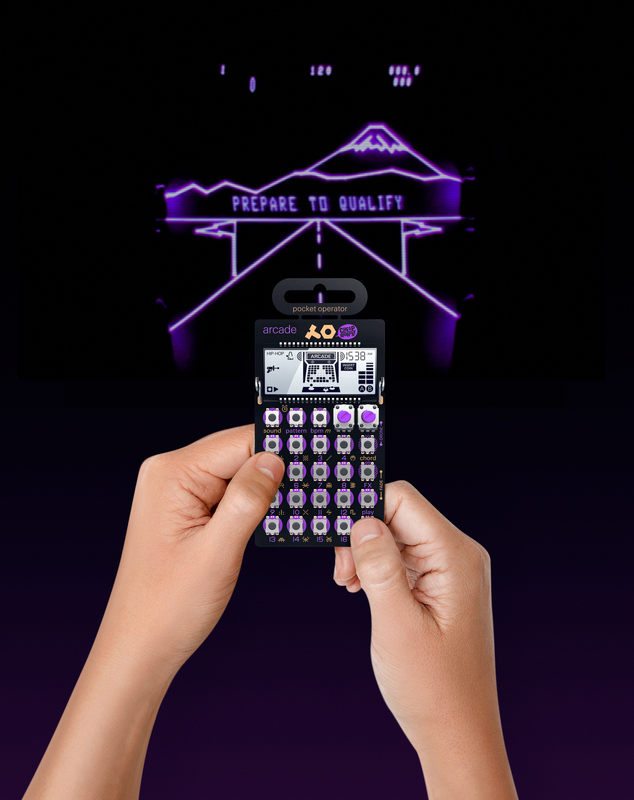 But when they started to work on the original Pocket Operators, the PO-1x series, it became evident that this was a perfect opportunity for us to do something together. The original plan was that I would design a single 8-bit Pocket Operator (now Arcade), but the scope grew and we finally settled for the three machines above. I'm delighted to hear you're involved with these modules. I saw them discussed a couple of days ago and ordered right away as they sounded incredible. I'm so excited to try them out when they arrive. My hope is to be able to record some loops with these so I can build up something for my game. We're so lucky to have someone with your genius pushing this genre. Dude, just found out you're one of the guys behind the new PO's. 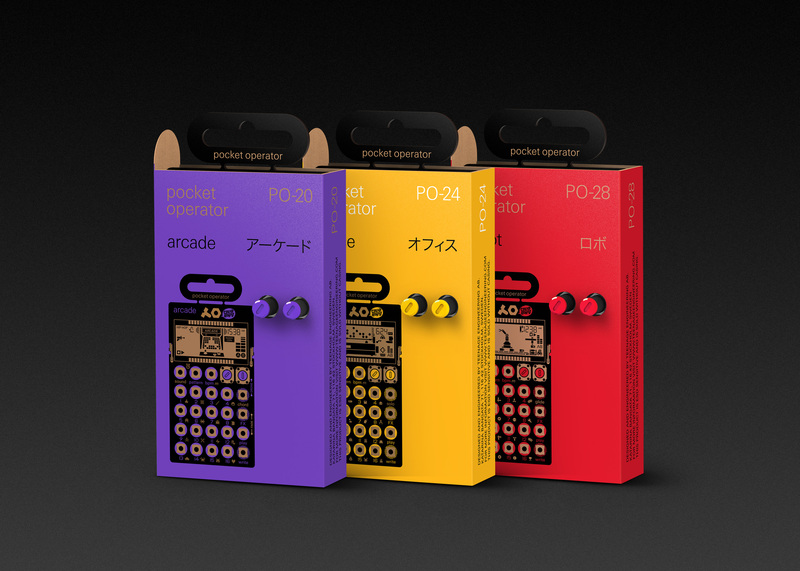 I remember being entranced by your AVR chiptune project years ago, so cool to see the same kind of fun brought to something like the pocket operators. The Arcade is a blast. Would you be able to comment on the technical side of the devices? Are they still a Leopard Gecko Cortex-M3 for the main CPU and a Cirrus Logic CODEC? You mentioned in one of the videos that aliasing was a problem to overcome, does this mean the CODEC is operating at 16 bit / 48 kHz? Lastly, does this also mean that there is now 0 probability of the Bitbuf schematics and source ever being released? Thank for your contribution to humanity, Linus. Are you going to post a video of you doing a lengthened song with one of these platforms? the desired 1-16 buttons and then press 'play', right? start a pattern from scratch ? Good luck with the music making! I think our support people should be able to help you. It also helps us to get this information into the system, to document what happend and hopefully prevent similar problems in the future.